According to Marcie Haley, Twelve Hills Nature Center is a welcome anomaly in this part of town. Haley is the director of the non-profit that oversees the five-acre oasis on Mary Cliff Road, south of I-30 near Stevens Park Golf Course in Dallas. Wedged between St. Cecilia’s Catholic School, the Kessler Woods development and drainage to Combs Creek, Twelve Hills unfurls down a bumpy slope from a beautiful entryway of sandstone and native plants. The edges are thick with oak and cedar elms. 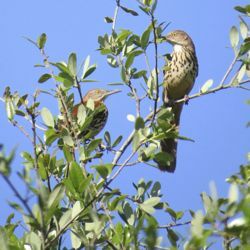 The songbirds they host are vocal this summer morning, trilling and chirping and flying between the trees as Haley and I amble the walking trail around the preserve’s edges. The focus of Twelve Hills is on birds and Master Birder volunteer Shannon Love has identified 51 species. 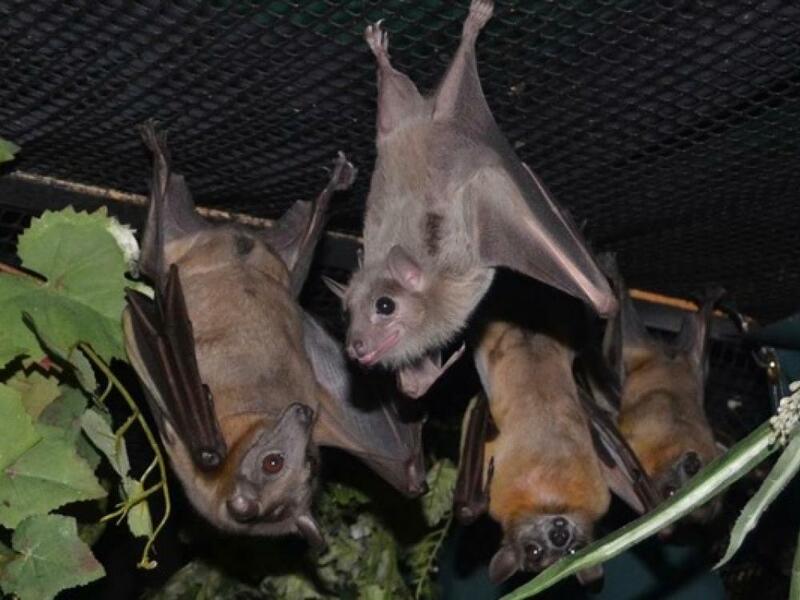 The occasional rabbit has been sighted, along with lizards and small snakes, toads and frogs. The entrance garden plants are designed to attract butterfly species in all stages of development, with stone benches and walls providing a pleasant place to sit and observe the aerial beauty. “The animal life is coming along,” said Haley, though she noted that the lack of a water feature is a drawback to attracting regular residents. 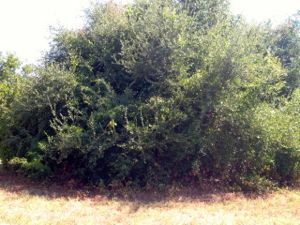 Native shrubs try to flourish in the understory but struggle through the invading privet. Small copses of trees and brush dot the central open space whose grasses and wildflowers show hints of its prairie origins. The land where Twelve Hills resides was once an apartment complex of 12 buildings tucked amid 20 acres of trees. Built in 1950, after a few decades it trudged toward decrepit. The middle-class community that had grown to surround it demanded its demise, even though they loved the trees, and bulldozers took the buildings down. It remained as ersatz open space until 2000 when pressure for action reached a peak. But the open-space loving neighbors persisted and convinced the developer to sell them five acres back at a reduced price. Twelve Hills incorporated as a nonprofit in 2005 and set up deed restrictions so the land could not be developed. Then began the long hard work of returning the neglected enclave to nature. 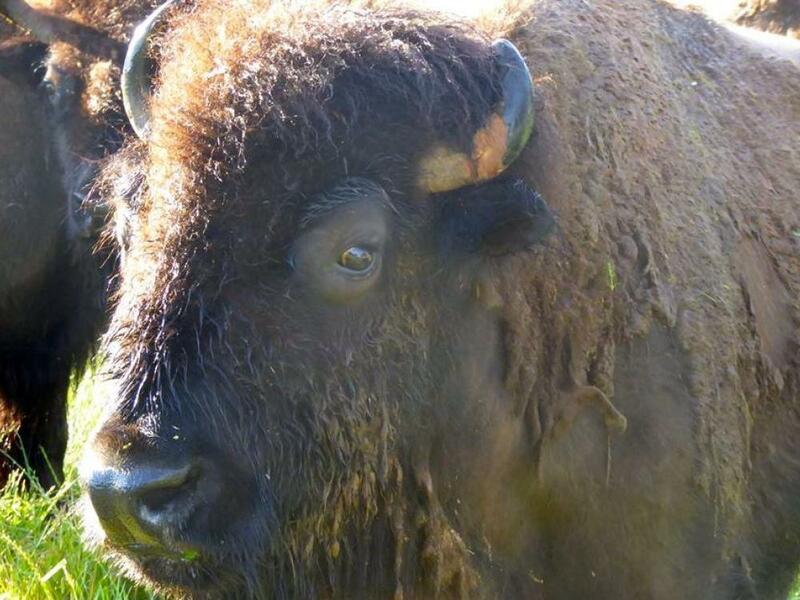 Few sayings are more harmful to habitat preservation that to “let nature take its course.” Once an ecosystem has been disturbed, whether farming, roads or urban development, the forces that kept it in balance are forever sundered. 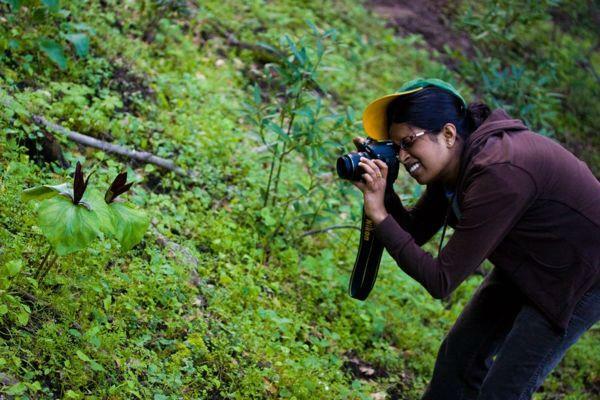 “Our biggest challenge is absolutely invasive plants. Privet, ugh” said Haley, echoing the sentiment of all North Texas naturalists who revile the flowering Chinese shrub. Invasive foreign landscape plants like privet and nandina take over, killing the trees they find shelter beneath and creating monocultures. Local species do not relish the berries so they don’t support wildlife. Even opportunistic native trees like cedar elm will overgrow an area with brush and trumpet vines will crowd out native grasses and wildflowers. It’s up to Twelve Hills volunteers to shape the land’s progress and maintain balance, from pruning and removing unwanted species, to seeding and planting desired ones. The lack of water for all but the front sections hinders their success as most plants require a year or two of supplemental watering to become established. A live oak competes with invasive privet. This year’s plans include liberating from privet a large live oak called the Founders’ Tree. Also on the agenda is improving the appearance and diversity of grasses and wildflowers in the small pocket prairie that fronts the street, which already boasts a good spread of sideoats grama. Recently volunteers from North Texas Master Naturalists transplanted to Twelve Hills native blackland prairie grasses and forbs from a parcel being destroyed for development. 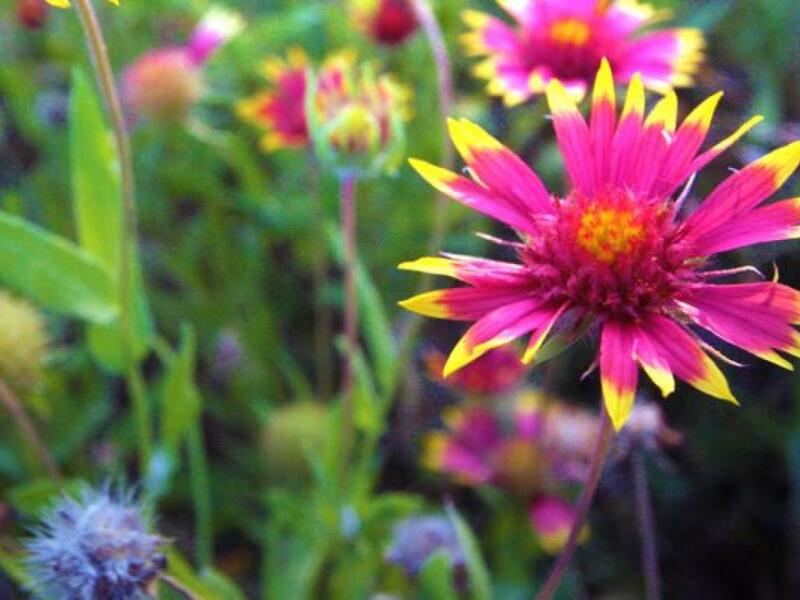 Less than 2 percent of the blackland prairie ecosystem remains. Twelve Hills is within walking distance of over 1,500 students ages 4 to 14, including adjacent St. Cecilia Catholic School and nearby Rosemont Elementary School of DISD, plus around 2,000 high school students. It serves as an outdoor classroom for the schools. 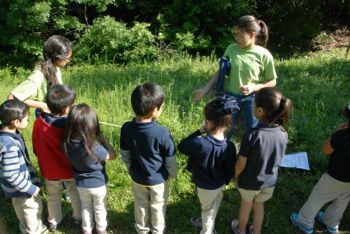 In the Nature Leaders afterschool program at Rosemont the focus is on 5th graders taught by their teachers and master naturalist volunteers. Haley pointed out that because the schoolchildren grow up with respect for Twelve Hills, they take ownership of it, picking up litter and watching for misuse by people of bad intent. Often times, she said, other classes come over on their own, just for the fun and fresh air. 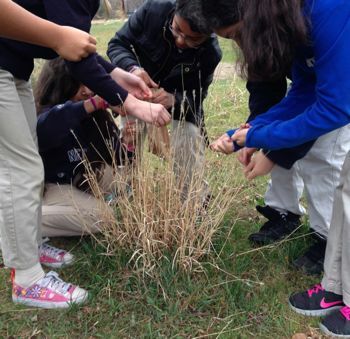 Students collect seeds of native grasses. Twelve Hills Nature Center, www.TwelveHills.org, is located at 817 Mary Cliff Drive, Dallas, TX 75208. It is open daily dawn to dusk. 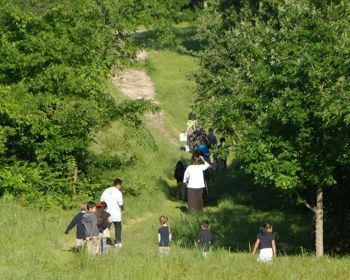 Access to the preserve is free and there are no charges for guided nature walks. Dogs on leashes are allowed at Twelve Hills, but please pick up after your dog. Join the email list by sending a blank email to twelvehills-subscribe@yahoogroups.com.